Bacon used to be a cheap breakfast meat, but no more. Over the past few years, it has gone up quite a bit in price. Of course I’m still bacon, because …. well, it’s bacon and it tastes amazing. I don’t think it needs any more explaining than that. We’re still eating bacon regularly, but I’m now making sure to use every last bit to make it worth the extra money. One way of doing that is to save the bacon drippings and use the grease in my cooking. And I’m loving it. It adds a lot of extra flavor to my dishes. I use the bacon grease to cook eggs in the morning, when I’m sauteeing veggies and even some meats (pan fried pork chops anyone) and when I’m starting soups or stews. Of course it also makes awesome gravy to serve on biscuits or toast. The grease comes out as you cook the bacon. 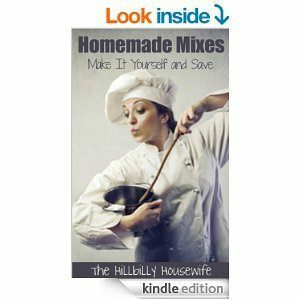 You can fry it up in a skillet on the stove, take out the cooked bacon and then pour the rendered fat into a jar. Or you can bake the bacon in the oven. This is my favorite way to cook it these days. Take the cookie sheet out, remove the bacon and then pour the grease that’s left over into a jar. I use a glass jelly jar to store my bacon grease in. Each time we cook bacon I add the drippings to it and use them in cooking. Every 6 months or so I clean the jar out and start fresh. I find glass works best to keep the grease in. The flavor stays the same and it’s easy to clean. Now that you have your bacon drippings in the glas jar, let’s talk about storage options. You can keep that jar on the counter, next to the stove. If that’s what you decide to do, strain any little bits and pieces of bacon from the grease before storing it. A strainer and some cheesecloth work well for that. On the counter, the fat will stay good for about a month. After that you will notice that it starts to go rancid. I prefer to keep my grease in the fridge. It’s out of the way, doesn’t clutter up my counters and lasts a very long time – 6 months in fact. That’s why I’m comfortable having a continuous jar of bacon drippings, adding to it each time we cook bacon. Every six months, I use up what we have and clean out the jar before starting over. 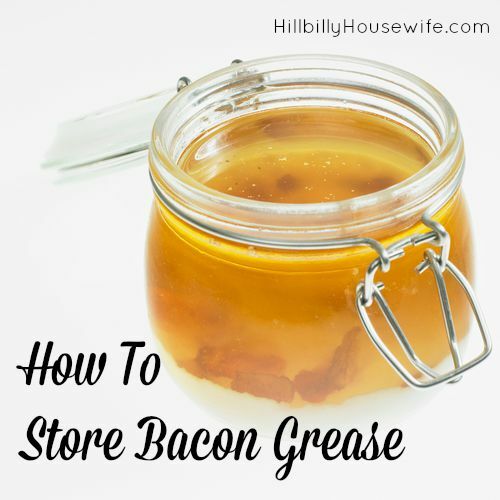 If you don’t use your bacon grease much, or want a longer storage option, freeze it. In the freezer, your bacon grease will last for up to a year. I’ve never frozen bacon grease because we go through it so quickly. It’s a nice option to have and may come in handy if you’re leaving home for a few months and still have some bacon grease leftover.